The 2018/19 sugar beet harvest is entering its tail end and attention is now turning to the 19/20 sugar crops for both beet and cane. Prices are still low following the huge surplus of 2017/18 and the smaller surplus of 18/19, although prices are now at a two month high as the 19/20 crop is predicted to be in deficit, a result of smaller planted area in the EU, India and Thailand. Global sugar prices are slowly heading towards 15 c/lb which would entice Brazilian millers to allocate more cane to sugar production. El Niño weather pattern is predicted for the Northern Hemisphere this winter, creating an early end to rains in Brazil and drier conditions in Asia. Global sugar production for 2018/19 is estimated to fall by 15.5 mln tonnes to 185.3 mln tonnes as a result of a downward revision of the crop outlook in Brazil, European Union and India. This compares with the record of 200.8 mln tonnes produced in 17/18. 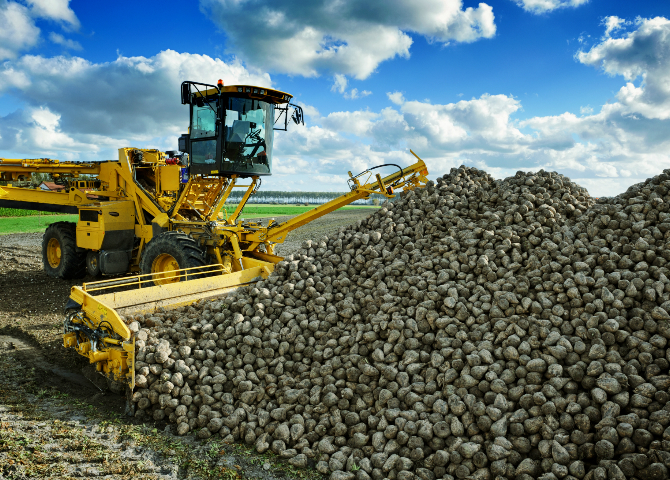 The global sugar beet production for 2018/19 will decrease to 43.2 mln tonnes, down from the record 45.7 mln tonnes last year. Global cane sugar production for 2018/19 will decrease by 11.7 mln tonnes to 143.4 mln tonnes. This compares with a record 155.1 mln tonnes produced in 17/18. The 2018/19 northern area beet crop started with delayed planting due to snow followed by increased rainfall in early March 2018. Improved weather in April and high temperatures in May saw rapid beet development until the end of June. Subsequent prolonged dryness has consistently reduced the yield forecast for the 18/19 crop and slowed beet harvesting as farmers have struggled to lift the crop from the soil. Sugar production for the 2018/19 season is estimated at 18.4 mln tonnes, a reduction of 2.8 mln tonnes compared to the previous crop. EU producers are talking of a reduction in beet planting for the 19/20 crop to allow a draw down on stocks. White sugar exports for 2017/18 (Oct-Sept) finished at 3.6 mln tonnes, with raw sugar imports at 1.3 mln tonnes. European prices are starting to rise, in contrast to falling world market prices. In the UK the beet sugar production is forecast to reach 1.15 mln tonnes, down on last year’s 1.37 mln tonnes as a result of reduced yields. A no deal Brexit could lead to higher import tariffs in the UK of €339 per tonne for raw sugar for refining and €419 per tonne for white sugar or raw sugar for direct consumption. In 2018 both Russia and the Ukraine reduced the planted area for sugar beet as a result of the cold and wet winter. Russia experienced a dry summer resulting in poor beet yields down 13% and the Ukraine achieved high beet yields but poor sucrose content. Early indications for the 2018/19 harvest is Russia producing 6.35 mln tonnes, down from 7.1 mln tonnes in 17/18 and the Ukraine producing 2.0 mln tonnes of sugar. Brazilian mills are watching the falling gasoline price in their domestic market, which is affecting the biofuel price. Mills will focus their attention on producing sugar, helped also with the current low fobbing prices for shipping. For the 2018/19 crop the hydrous share has been at 62% compared to last year’s 17/18 crop which was at 43%. This results in the Brazilian mills being able to add or remove close to 10 mln tonnes of sugar from the global market! Sugar exports reduced by 30% which has helped lower the world sugar surplus. The end of the 2018/19 harvest has been disrupted by heavy rains, sugar production is estimated at 30.4 mln tonnes, which is some 10.0 mln tonnes less than 17/18 production. The 2019/20 cane development will be good as the weather has been wet since August, improving soil moisture content, which was very dry in the early part of 2018. The 19/20 harvest will commence in April. The 2017/18 harvest was a record crop, producing 15 mln tonnes of sugar with the harvesting ending in June 2018. This amount is significantly more than the 10.3 mln tonnes produced in the 16/17 season. Sugar production for 2018/19 is expected to be slightly lower at around 14.5 mln tonnes due to a lack of rain at the tail end of the cane growing period, although the sugar yield is expected to be good. The Asian market is however seeing a decline sugar consumption as a result of governments increasing taxes on sweetened beverages. Sugar production for the 2018/19 crop is likely to be 30.7 mln tonnes, which will be down on the previous crop due to a below normal monsoon in the 2018 planting season, which limited sowing of the canes as farmers will have limited access to available low ground water levels and reservoir water. This delayed the start of the harvest with early indications of lower yields. Domestic prices have remained on the floor despite government incentive payments and millers are not enthusiastic to export due to cash flow restraints, resulting in a large carry forward of stock. With general elections due in 2019, the government is taking steps to support millers so that farmers will be paid on time. Exports in 2018/19 will be lower than the 5 mln tonne target set by the government, due to a strengthening rupee and falling global prices. The amount is likely to be 2.5-3.5 mln tonnes. African cane sugar production increased to 9.4 mln tonnes in 2017/18 after poor yields in 14/15 and 16/17. For 2018/19 it is very likely Africa will produce as much as 10 mln tonnes for the first time. South Africa is projected to produce 2.3 mln tonnes in 18/19, after the recovery of the cane yields. Mauritius reduced its forecast for the 2018/19 crop to 324,000 tonnes of cane sugar produced, down from 355,000 tonnes produced in 17/18. Mauritian production is in long term decline having halved over the last three decades. 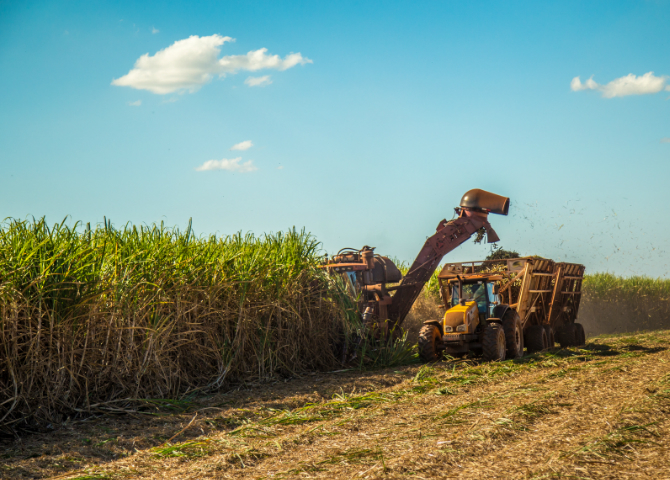 Crushing of the 2018/19 crop began in late May and ended in December resulting in a reduced amount of cane crushed, although the actual sugar content was at its highest for a decade. Warm and dry weather, close to drought conditions was the main reason for the reduced amount of cane harvested. Cane sugar production for the 18/19 season is forecast at 4.9 mln tonnes which would still be up from the 4.7 mln tonnes produced in 17/18. The Trans Pacific Partnership-11 has taken effect for six countries resulting in Australia becoming the favoured origin for the majority of the 1.3 mln tonnes of Japanese raw imports over Thailand. Wet weather has delayed the beginning of the Mexican harvest and early indications point towards a reduction in sucrose content, although it is early days for the 2018/19 cane harvest. Forecasts for the 18/19 sugar production have increased to 6.25 mln tonnes due to more planted acreage of cane. The 2017/18 harvest produced nearly 6 mln tonnes of sugar, so stocks are high with the likelihood of Mexican exports onto the world market. A smaller 2018/19 US sugar production of both beet and cane, estimated at 8.4 mln tonnes will see an increase in Mexican sugar imports during 2019. The US beet crop will be reduced as a result of cold weather impacting on the harvest. Cane sugar production for 18/19 will remain at around 3.7 mln tonnes. The government’s corn support policy has led to falling prices in recent years. Farmers have switched to growing sugar beet which has increased the area under cultivation. Improvements in mechanisation and new beet varieties, coupled with modernised factories has increased beet sugar production by 56% in 3 years and China is expected to produce 1.5 mln tonnes of beet sugar for the 2018/19 season up from 1.25 mln tonnes. Cane sugar production will remain constant at around 10.1 mln tonnes. Domestic prices have fallen to a three year low, which may see a fall in cane cultivation for 2019/20.